Burak Sar aka SIS exudes a wild unbridled energy. He’s a man that’s led by his emotions and a real rollercoaster of personalities. Highly likeable yet unpredictable, he’s the type of person who can change character at any moment. Add in to the mix, a dash of criminality, insanity, and the soul of a tortured genius and you’ve got the hallmarks of a really amazing artist. We talk to the man that’s as real and deep as the ink that covers his arms and chest. SIS you’re considered a legend by many. How would you describe your current sound right now and what have you got coming up? Legend? 🙂 Cute 🙂 Well honestly I never had the right description to any of my tracks, but I like to call them danceable. I am very proud to announce my first collaboration with my beloved brother Alex Kennon, which is soon to drop on UNER’s imprint Solar Distance. I really love what UNER is bringing up DJ and music wise, it’s a pleasure to me to be releasing on his label. Right after the EP which is titled La Hija Del Mar, there will be another collaboration with the Audiofly boys which will be released on Kindisch. I love Audiofly and it will be an honour to share the studio with this great souls and musicians. Following that I have done another ep for Crosstown Rebels which also includes a remix from Rodriguez Jr. I love the way Rodriguez Jr tells a story with his music and having him rework my track is one of the coolest bits of news I’ve had this year. We heard that early in your career, Ricardo Villalobos was so impressed with one of your tracks, he released it on a label – which until that point had been a platform for his own music. That must have been a great honour. Can you tell us the story? That was definitely a tale for me… The track was called Trompeta and I made it in only 25 minutes in a location that was far from being classed a music studio. The evening when I did the track I went to Cocoon club in Frankfurt where Ricardo was playing and took my moment to pass him the track. After I gave Ricardo the track he played it three times in each of his sets that weekend, and on the Monday my phone didn’t stop ringing. Trompeta ended up getting signed to Sei Es Drum Records which has now releases music from lots of great artists, but at the time it was just me and Ricardo signed to it. That record and the follow up on Cécille Records titled Nesrib definitely kick started my career, and I still thank Ricardo plus Nico who runs Cécille Records for this. Groove (Germany’s leading print magazine for electronic music) once voted two of your separate tracks, 1st and 2nd out of everything anyone released that year. That’s an amazing achievement. Have you had anything else that comes close? What did you do before you got in to music? Jumped without direction from one job to the next. You mentioned you’re next release is soon to drop on UNER’s label Solar Distance. You’ve collaborated with Alex Kennon who after releases on Nic Fanciulli’s Saved Records and Pirupa’s label NONSTOP is tipped for big things. How did you two meet and how did you end up working together? We know you like to play live? I’m planning to bring a keyboard plus a set of Roland E Drum’s to the stage. This allows me to link my most loved instruments together so I can trigger anything I want. E Drum’s are electric drums that are played like an acoustic kit, and it mean that played by hand/drum stick I can trigger any sample I have in wav format, as each drum pad works as a midi trigger. I plan to be very creative with my choice of samples, so please keep an eye out for my tour dates which will be announced soon, as I am really looking forward for my first shows. There’s a lot of talk about Richie Hawtin’s new mixer being brilliant. You played on one yet? Nope, I’ve been very busy in the studio preparing my live set. How much of your own music are you dropping in live sets? In my live sets it’s only my own tracks and the occasional edit. I play all the tracks in separate parts so I have full control over every individual element of the track, which in my opinion is exactly how a live set should be done :):) In my DJ sets I also play about 80-90 % my own music. How long do your live sets take you to prepare? Are they planned or improvised? Preparation time depends on if I start a totally new project or just edit the last one, but using the collected samples and synth patches what I play is always improvised. I was speaking to Dan from Pig&Dan the other day, who said Matador, Stefan Bodzin and Carl Craig were amazing live. Are there any other live acts you could recommend for our readers? 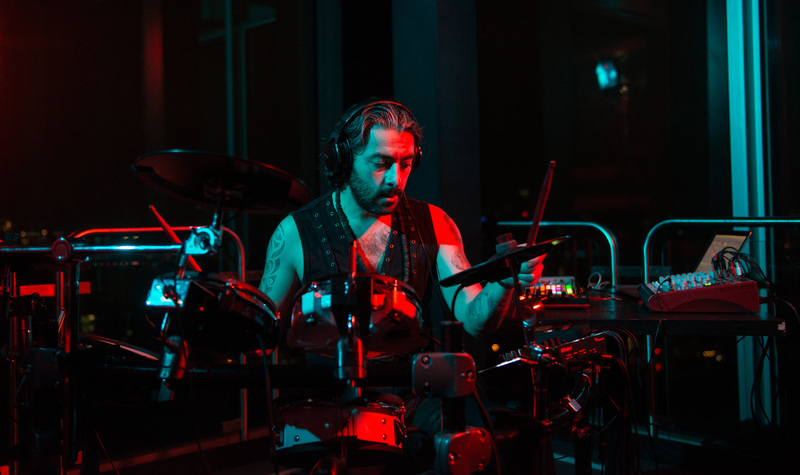 Pier Bucci and Reboot both definitely know what they doing on stage when they play live! For me it has to be the Taiko Festival in the Mountains of Japan. On the morning of my live set the first time I played there was early in my career, and the promoters asked me super kindly if I would like to join Ricardo Villalobos and Fumiya Tanaka on the main stage! Your favourite tune at the moment? At the moment its “Jules et Spatz – Rotwii-Lied (Homeless Remix)” as its one of the most fresh and funky tracks ever!